Thanks for your request. 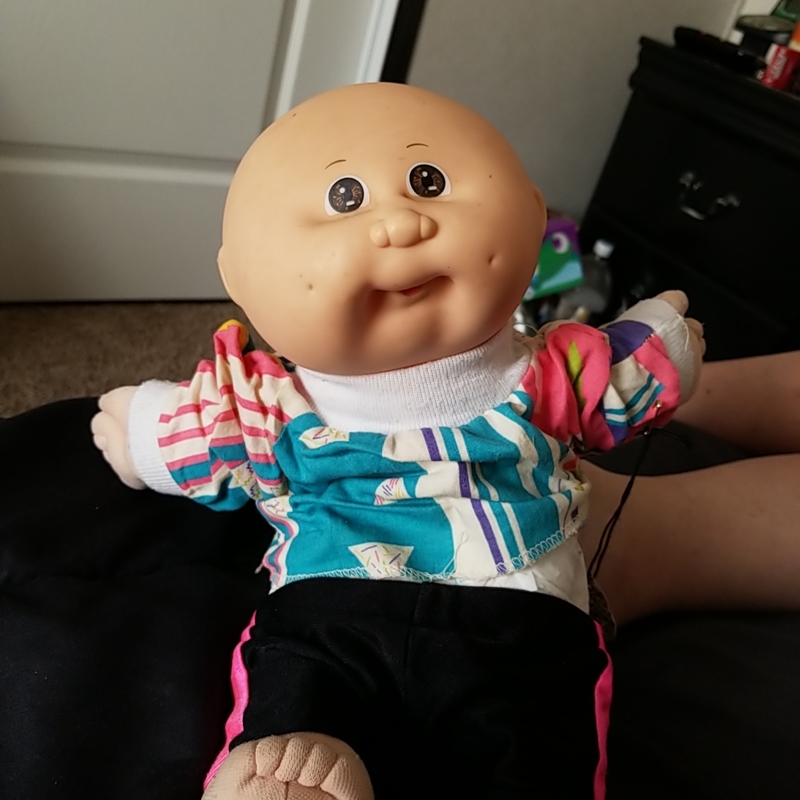 These are two Cabbage Patch Kids dolls. One doll is a red-haired girl with blue eyes and the other a baby with brown eyes. They are in a good condition but unboxed. The company was founded in 1978 and these dolls where mass produced during the 1980s. The dolls would be valued between 10 and 20 USD each.